The California Secretary of State Building. Secretary of State Alex Padilla announced the renaming of the building complex in honor of March Fong Eu in 2017. 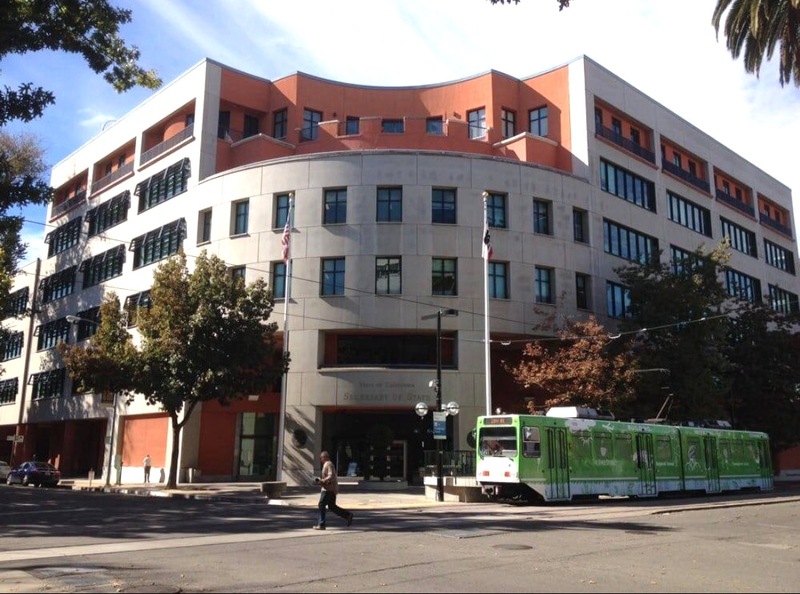 SACRAMENTO – The California Secretary of State/State Archives Building Complex was officially renamed the March Fong Eu Secretary of State Building on March 25 in honor of the late former secretary of state. 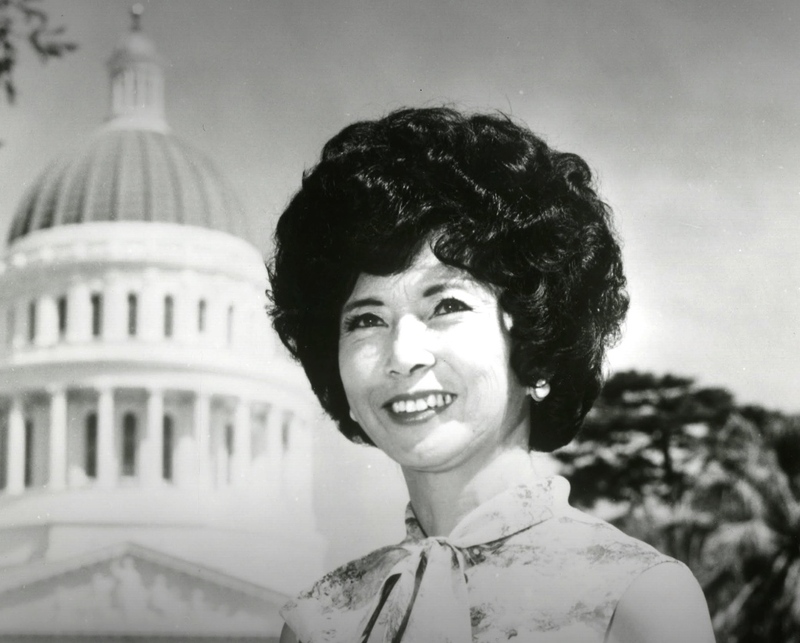 This is the first California state office building named after an Asian American woman. A ceremony in the building’s auditorium featured the unveiling of a new plaque commemorating Eu’s legacy. The plaque will be permanently installed at the building’s main entrance at the corner of 11th and O streets. A third-generation Californian, Eu was born on March 29, 1922, one of four children born to Yuen Kong and Shiu Shee in the Central Valley town of Oakdale, where her parents ran a hand laundry. Dr. Eu was a graduate of UC Berkeley (1943), earned a masters from Mills College in Oakland (1947) and an Ed.D. in education from Stanford University (1954). Prior to entering the political arena, she served as a dental hygienist and educator in the Oakland public schools. She cut her teeth on political involvement while serving as president of the American Dental Hygienists Association. Her first elected office was the Alameda County Board of Education (1960-1966); she subsequently served as assemblywoman for the 15th Assembly District from 1966 through December of 1974. In 1974, Eu was elected California secretary of state, serving in that position until she resigned in early 1994 to accept an appointment by President Bill Clinton to become U.S. ambassador to the Federated States of Micronesia. A recognized ground-breaker, she was the first woman secretary of state and the first person of Chinese ancestry to be elected to statewide office in the U.S. when she won her contest for secretary of state. In that capacity, she ushered in voter registration by mail, reduced deadlines for voter registration, streamlined the business filings process for corporations, increased enforcement of notary public laws and protections, and secured the building of a Secretary of State complex that provided a showcase for the California State Archives and the California Museum. In her official autobiography, she listed a number of “firsts” she was proud to have achieved, from being the first woman to serve as a division chair in UC San Francisco’s Dental Hygiene Department to being the first woman and first Asian American to serve as governor when, on July 14, 1976, all the other officials in the line of succession were out of the state. The State Archives has also launched a new digital exhibit on the Google Arts and Culture platform celebrating Eu’s life and legacy. The exhibit, “Leading the Way: March Fong Eu and a Lifetime of Service,” tells the story of her life and lengthy public service career through original photos and documents from the State Archives collection.